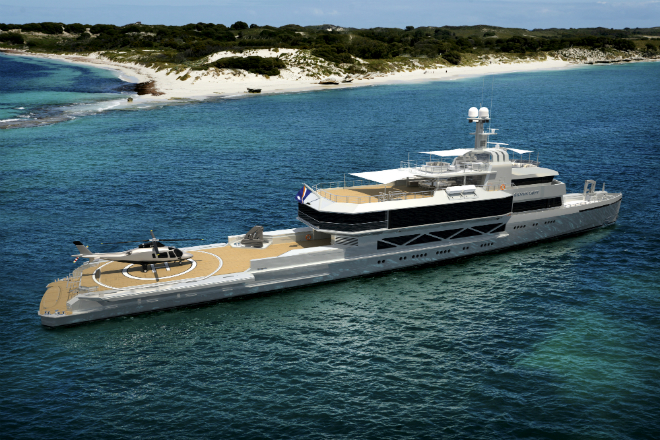 Hong Kong-listed China Zhongwang’s decision to buy a controlling stake in German-owned West Australian superyacht builder SilverYachts could see a quantum shift in the way the Asia-Pacific industry evolves. 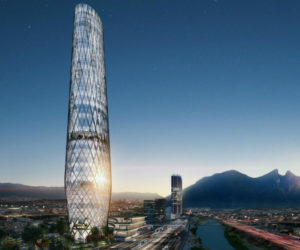 The far northern Liaoning-based company, already a world leading aluminium producer, can claim obvious synergies in acquiring one of the world’s largest aluminium superyacht builders, and this also dovetails with China Zhongwang’s strategy of increasing its presence in related transport sectors such as aviation, automobiles and railways. 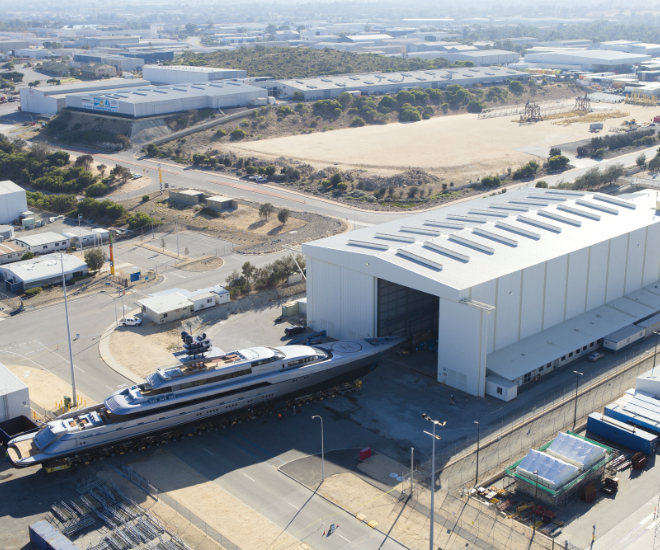 How it will affect SilverYachts in the Australian Marine Complex at Henderson, a short drive south of Perth and Fremantle, is discussed below, as are plans for a new SilverYachts facility in China. 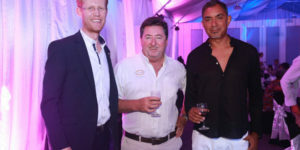 The reigns on SilverYachts Australia have been firmly held by German industrialist Guido Krass since he began this venture with Norwegian superyacht designer Espen Øino in the early 2000s. Setting up in a known centre of aluminium expertise – aluminium fast ferry builder Austal was next door, as was former superyacht builder Oceanfast and some Royal Australian Navy facilities – they initially named the yard Hanseatic Marine, a reference to the German Hanseatic League. The plan was to build fast, custom, fuel-efficient superyachts over 70m under the SOLAS concept, which allows many more guests aboard. 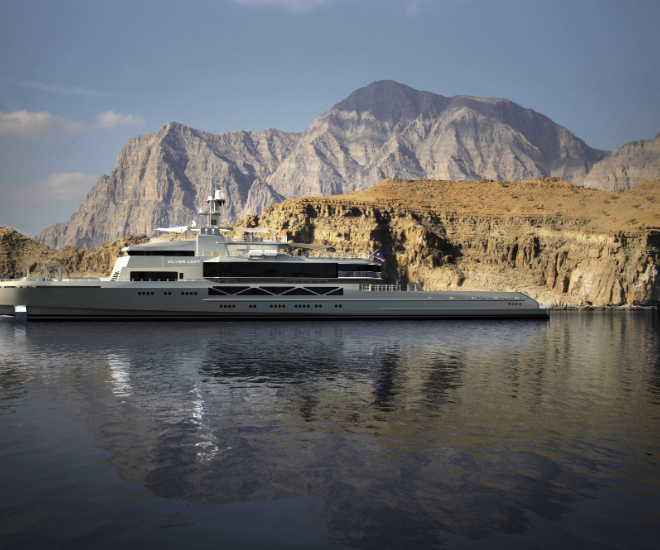 The first two vessels were 73m Silver and Silver Zwei, launched in 2007 and 2009, and are now called Rabdan, based in the United Arab Emirates, and Dragonfly. The latter, owned by a well-known American IT icon, has been roaming Asia and the South Pacific for several years, and late November turned up at Abell Point Marina in Australia’s Whitsunday Islands for an extended stay. Next came the 77m Smeralda, whose owner retained her yard name, and same-length Silver Fast, making appearances at Monaco, Dubai, Fort Lauderdale and Singapore Yacht Shows. Selected prospective buyers could charter her since the launch. Heading toward completion is the remarkable 85m exploration yacht Silver Loft, which has a sister ship ready for keel laying, and latest offering from the drawing board is the ultimate 100m Silver Global. Bear in mind that all these vessels are premised on the belief that aluminium is the “green” and “dream” alloy of the future. The concept isn’t exactly new, but the scale on which Hanseatic Marine, re-named SilverYachts a few years back, is building these superyachts certainly is. 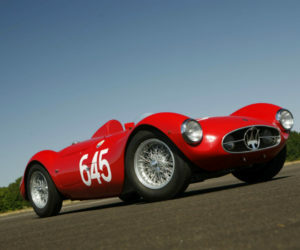 “Silver Loft”, says the yard, “harnesses the world-leading fuel efficiency and technical supremacy of her predecessors. 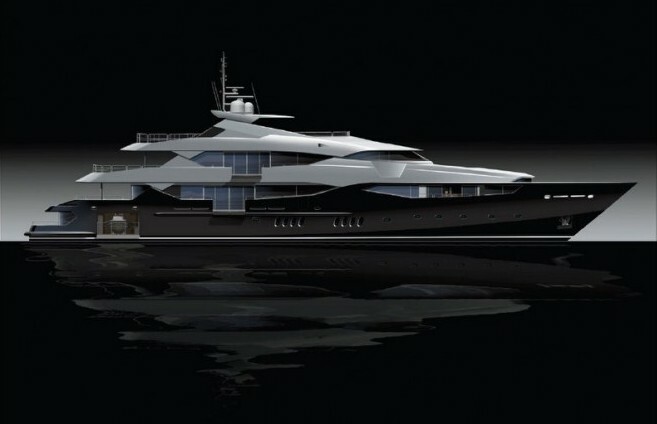 Working in collaboration with the renowned yacht designer Espen Øino, SilverYachts can now showcase the unique flexibility of these platforms. “The 85m vessel reveals aggressive styling, expansive interior and exterior spaces, and the most efficient hull form to date allows a maximum speed of 24 knots, and a 5,000 nm range at 18 knots. This enables fast repositioning, and the low draft is designed for access to shallow cruising waters. “German-based Andreas Hölnburger of Vain Interiors has created a luxurious and sophisticated design to match the vessel’s intended use. Materials include teak and oak panelling. Metallic paints combined with oak and marble floors”. During a press conference late 2017, Guido Krass revealed that “SilverYachts has plans to expand its team in Australia, as well as in China”. Espen Øino says: “Our Silver Series yachts are ground-breaking in design and building philosophy, in the way the volumes are distributed longitudinally rather than vertically, thus permitting a high length-to beam ratio, which is more efficient in terms of performance. “The Silver Series reflect the basic core values of sound engineering principles whereby simplicity prevails over complexity, and finds its inspiration in the slender and efficient monohulls developed before lightweight materials and high-speed, high-powered diesel engines were available. “Applying the same basic naval architectural concept in combination with today’s state-of the-art lightweight aluminium construction and modern engine technologies is the brainchild of Guido Krass and myself. We look forward to designing the next generation of the Silver Series with China Zhongwang, for both the global and Asian markets”. Lu Changqing, President and Executive Director of China Zhongwang, says: “We are delighted to join hands with SilverYachts to navigate the high-end marine sector at full speed. 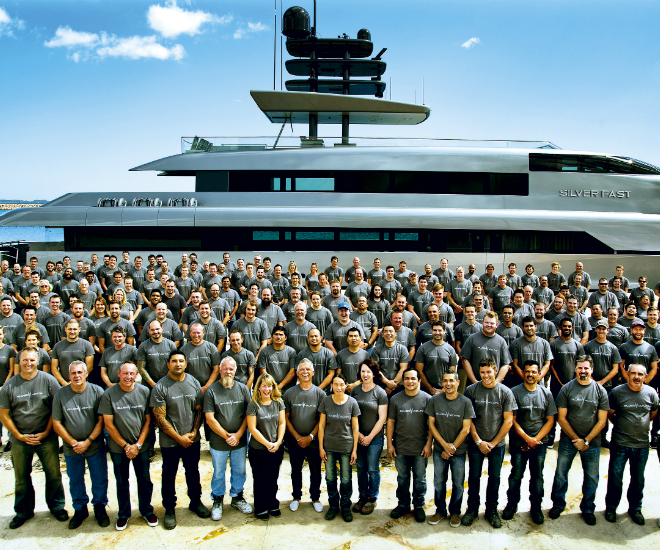 “SilverYachts is one of the pioneers in building large-sized, all-aluminium superyachts. 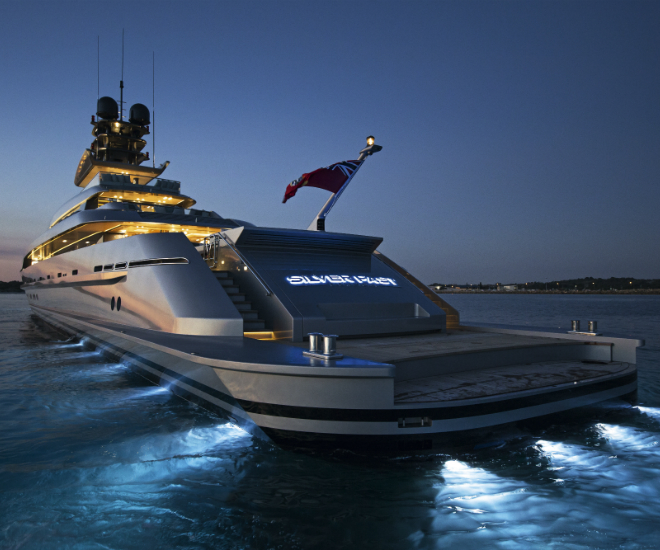 It has an international reputation for producing visually striking, aerodynamic, high-performance and fuel-efficient luxury superyachts, widely known as “the sports cars of the ocean”. “Both companies share the same vision of offering best-in class products that exceed client expectations. The acquisition is a significant step to advance the company’s aluminium deep processing strategy to the marine sector, and adds considerably to our international expansion”. The proposed new China yard, announced as part of the deal, is meant to handle construction of both private yachts and commercial vessels. Bearing in mind that Austal next to SilverYachts in the Australian Marine Complex supplies many of China’s fast and sturdy aluminium ferries, this could well be a market of interest. No decision had been taken on location of the new yard at our deadline, but exploratory talks were well under way. International yacht broker Camper and Nicholson is majority-owned by another Hong Kong-listed company. 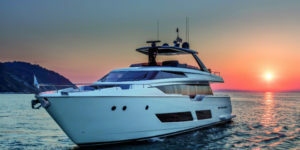 Dalian Wanda owns British builder Sunseeker, and there is heavy Chinese equity in two leaders of the Italian boating industry, Ferretti Group and Sanlorenzo. 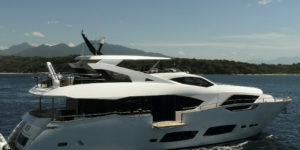 For more information on SilverYachts, please visit http://silveryachts.com/.